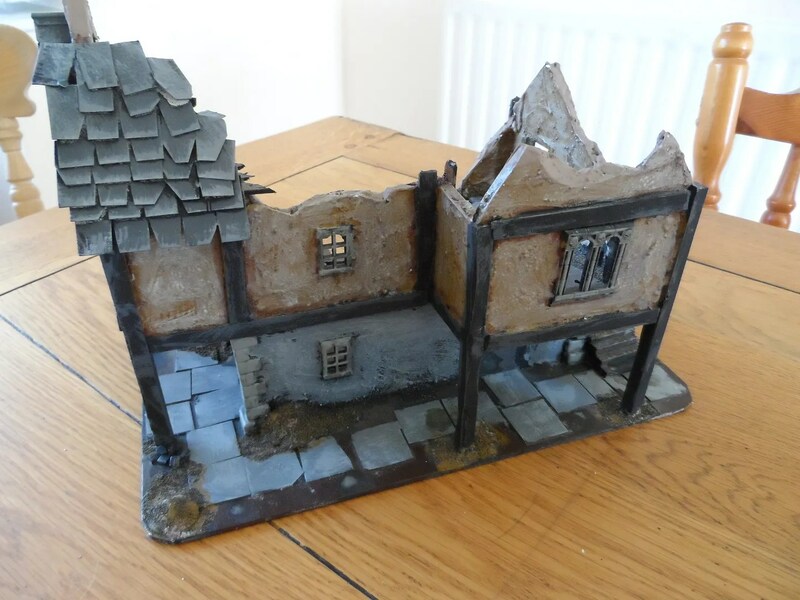 When I started building Mordheim buildings from scratch, I hadn’t discovered textured masonry paint, and nor were there any suitable craft/model paints available. So to provide texture and also to cover up joins between the foam core that i used for the walls, I mixed up some polyfilla (very watered down). 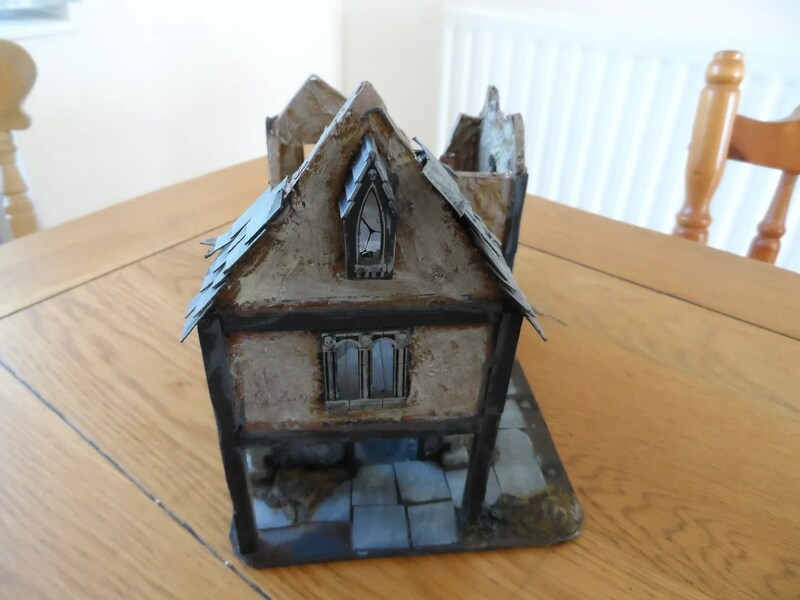 And then painted that on to the foam core buildings I’d done. But as you can see years later, the polyfilla gets knocked and damaged, exposing the white powdery material underneath. 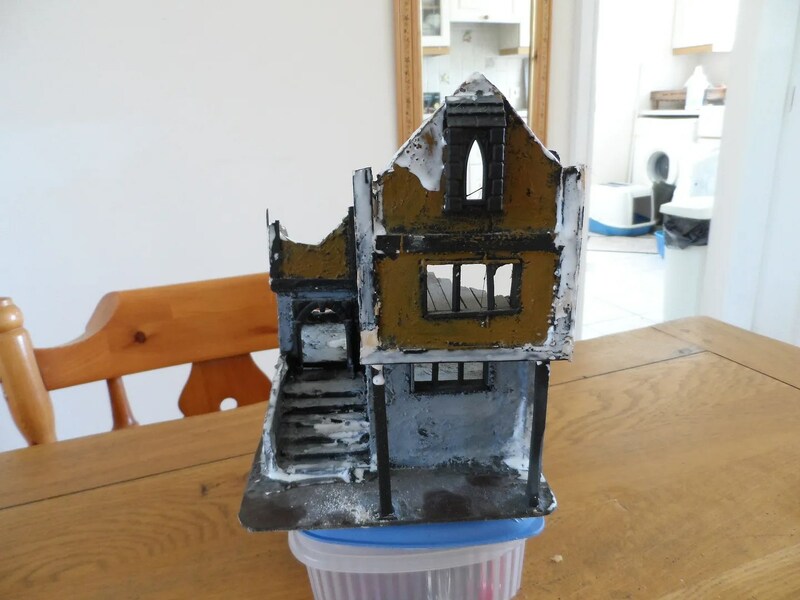 So, I covered up the damaged and other vulnerable areas with a liberal dose of PVA white glue (it is meant to be a sealer). 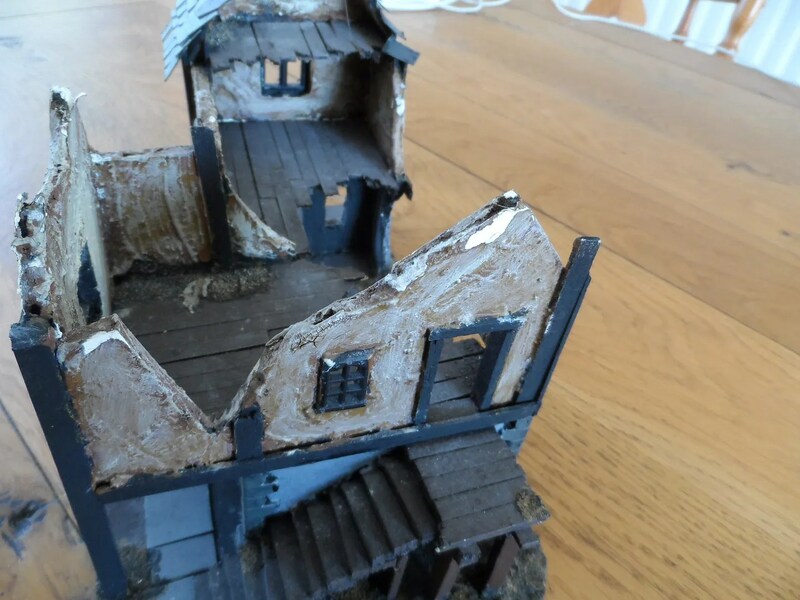 So after the glue dried, I repainted the walls, and also took the opportunity to highlight the windows and timbers, plus brown/green washes to jazz the old ruin up. 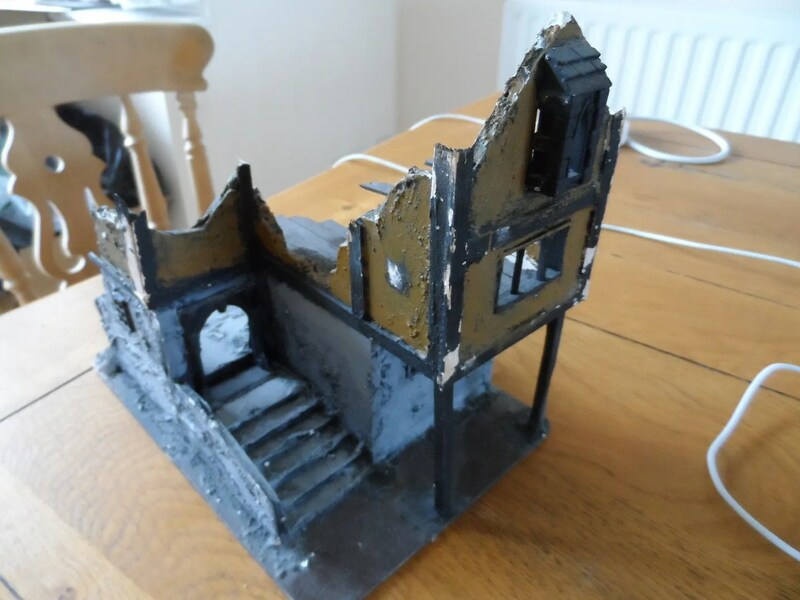 the other ruin pictured needed a bit more work, so that’ll be up next, along with some more colourful scatter scenery pieces.